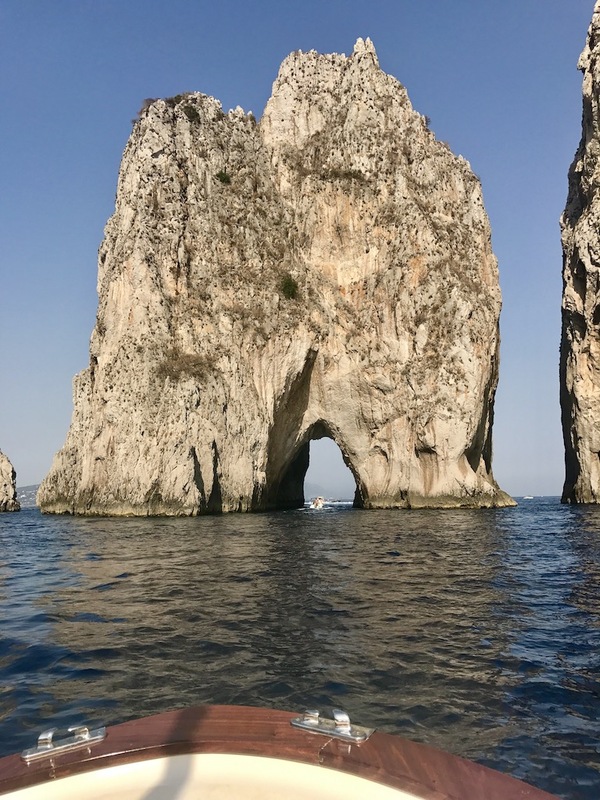 Getting to Capri is not easy, but it’s so worth it! 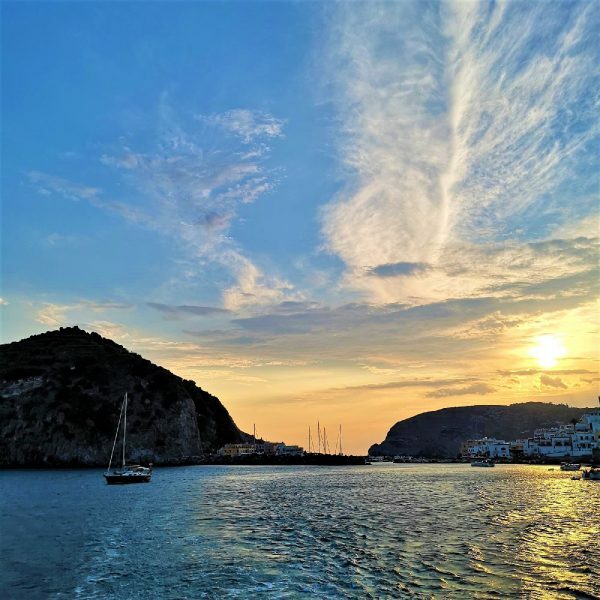 This beautiful island, that was once upon a time the seat from where Emperor Tiberius ruled the Roman Empire and indulged in debauchery, is my favorite gem in the Mediterranean. There’s no other place like it and even though 24 hours is not enough to discover the island, it’s enough time to give you a glimpse of the treasures within it. 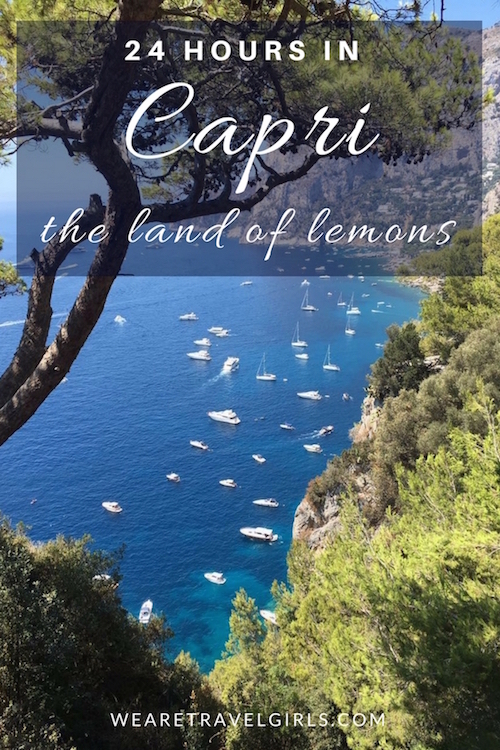 Let me share with you why Capri should be on your 2018 travel list! 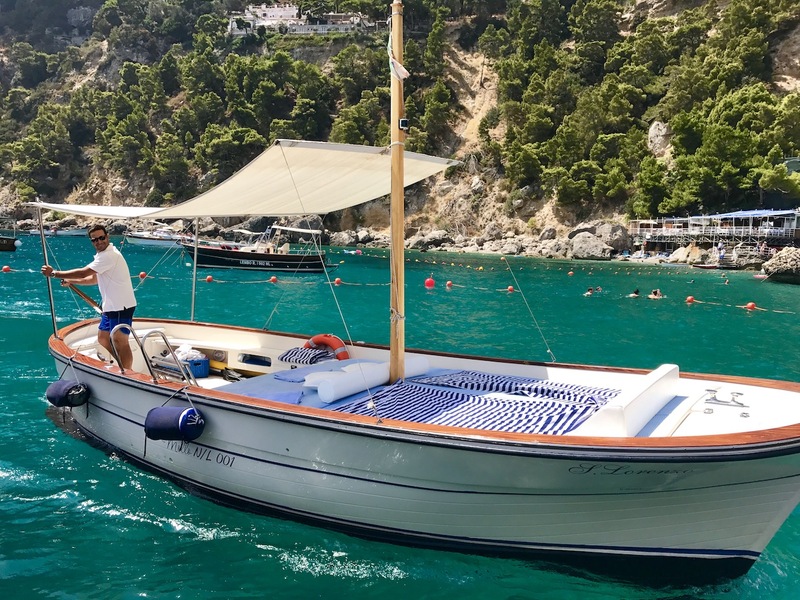 I flew from Berlin to Naples, took a cab to Molo Beverello and arrived just in time to take the next departing Aliscafo to Capri. We docked, I hailed one of their famous taxis, which in reality is an open-top limousine (I mean, how cool is that? ), and drove to Marina Piccola where my stepfather has a little house with the most spectacular view. It’s incredible how the taxis race through the narrow, curvy streets of the island without so much as a moment of hesitation. It was late in the afternoon so I dropped off my bags and headed up the endless staircase through which mules once upon a time walked up and down, to Bar Tiberio in La Piazzetta, the center of town, for a much needed Aperol Spritz. 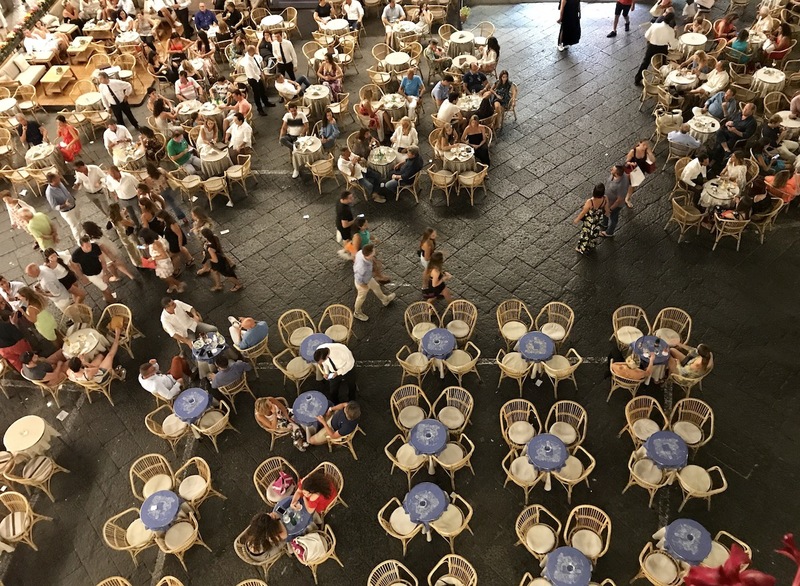 La Piazzetta is always buzzing with shop owners who love to get caught up in their gossip, and enchanted travelers and locals who come together to roam the tiny streets of Capri, take in the views, and treasure hunt. You can’t go wrong by staying in any of the little hotels here as this is where the action is at. We headed back down to the house to change into something a little more dolce vita and red lips, and took a taxi to Da Paolino for dinner: paradise under the yellow lemon trees. Their fresh mozzarella, pasta with tomatoes and zucchini, and a classic Limoncello to finish off the meal can’t be missed. And if a lemon the size of a baby’s head happens to fall on your table or, better yet, on your plate as you’re eating consider yourself lucky as it’s a praised superstition. It will also take your mind off the fact that you’re outfit is probably covered in your delectable meal. The next morning, before the heat settled in, we took the path to Villa Jovis: the ruins of Emperor Tiberius’s home on the farthest tip of the island that faces Positano. At every corner we found a better and higher view, while the smell of the pine trees and the ocean followed us everywhere we went. Exhausted, we headed back down to the market by La Piazzetta to buy two kilos of mozzarella, freshly-baked focaccia, ripe tomatoes, beautifully cut prosciutto, the sweetest melon in Italy and a couple of bottles of local white wine. Then we continued our way down to Marina Piccola where Rafaello picked us up, as always, 2pm in his gozzo, San Lorenzo. 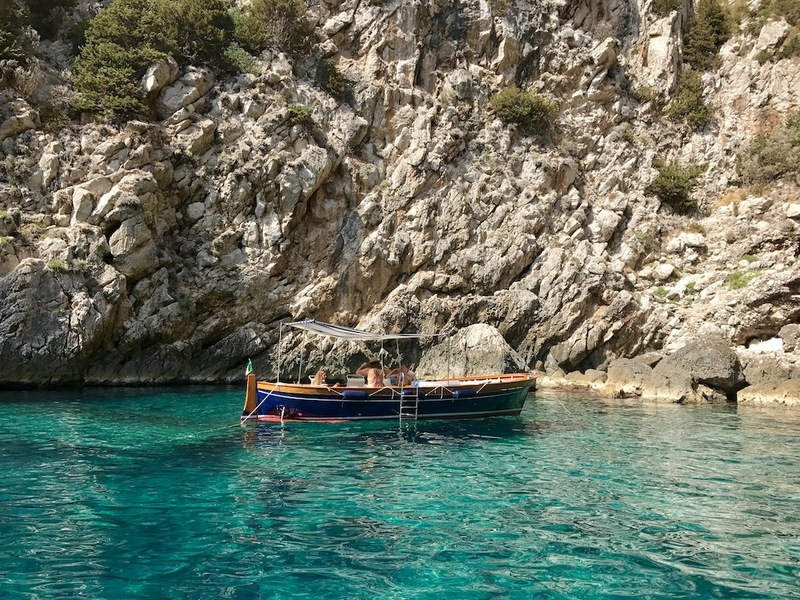 Capri’s crystal clear waters were our oyster and we headed to the Grotta Verde for the first tufo (dip) of the day. No anchor needed, we just jumped off the boat and swam through the rocks to the calita on the other side. There are hundreds of grottas in Capri, some more famous than others, but no one knows them as well as our trusty Rafaello as he grew up here. He knows every cave, every name, every nook, every story. Before lunch we took a small detour towards the Faraglioni, and swam to shore to the beautiful Fontellina for a pitcher of peaches and wine as there’s nothing better, more refreshing or more typical of the place! The swim back wasn’t as easy, I’ll admit that much. I wish we could have stayed to eat pasta alle vongole but our delicious picnic awaited. After a day of sun, wine and sea came my favorite part – what Italians call “il dolce far niente” – the sweetness of doing nothing. Whether that’s staring out into the horizon, smelling a flower (people do that! ), or listening to the song of the cicadas, dolce far niente is my eternal summer mindset. After a much needed nap on the gozzo we returned to the town’s buzzing labyrinth and walked up to Aurora, another favorite of ours where they’re famous for their paper thin pizza (created specifically for models so that they could eat pizza in peace without gaining weight – I’m not kidding about this story) and risotto with lobster, followed by a digestive dance party at Capri’s classic Anema e Cuore. I went to sleep with sore feet, a half empty belly and a smile on my face as the sun was coming up, anxious for my next tufo in the sapphire waters of the Mediterranean. 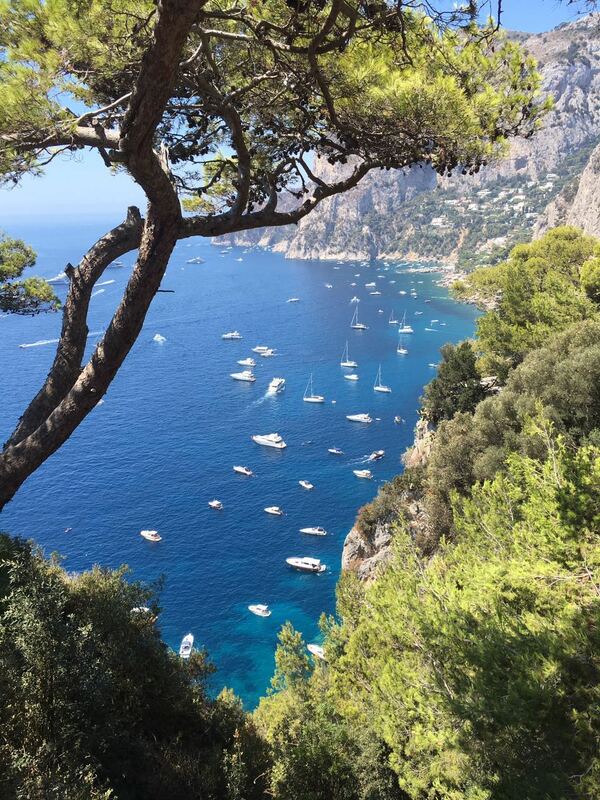 I haven’t been to Capri but wow, this place looks incredible. Thanks for sharing! 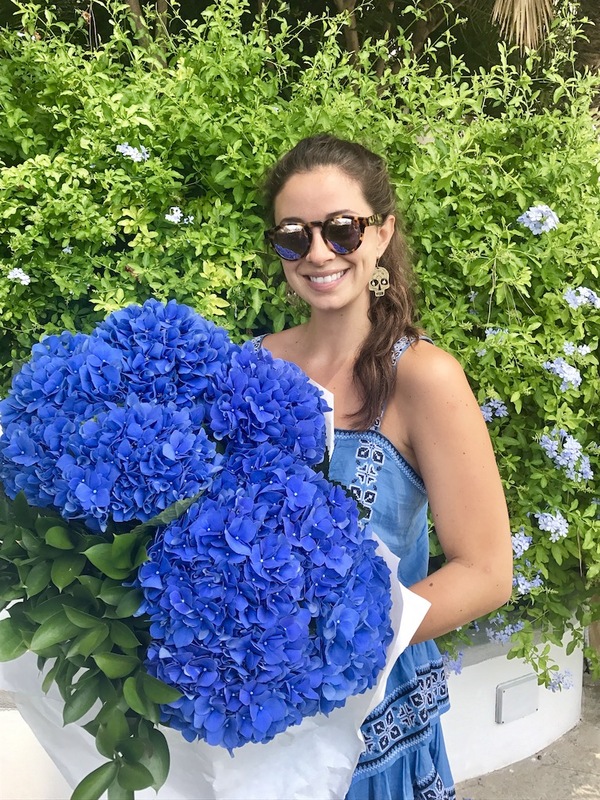 Hi Zhanna, so happy you liked the post! 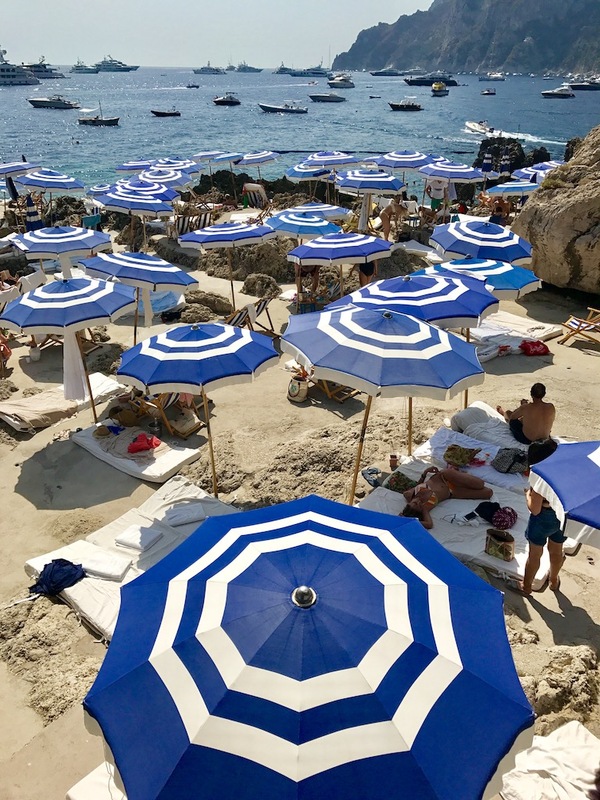 If you ever do make it to Capri I’d be more than happy to give you more tips! 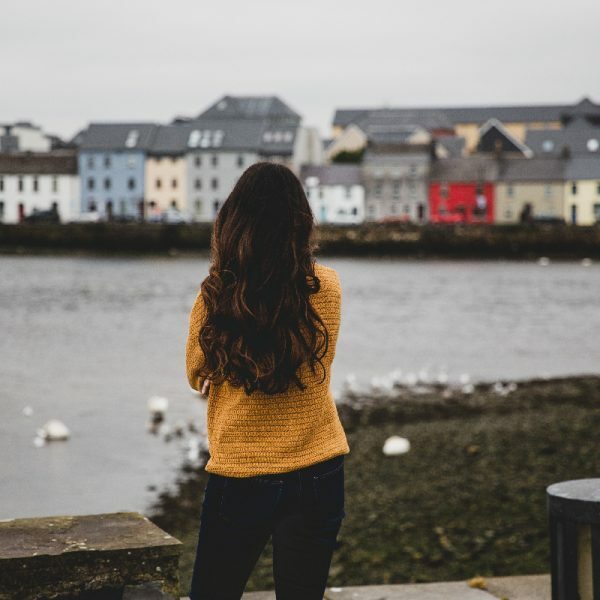 I am visiting Europe in 2018 and am LOVING this whole page for tips and tricks. I will be in positano for three nights and totally considering a day trip to Capri. 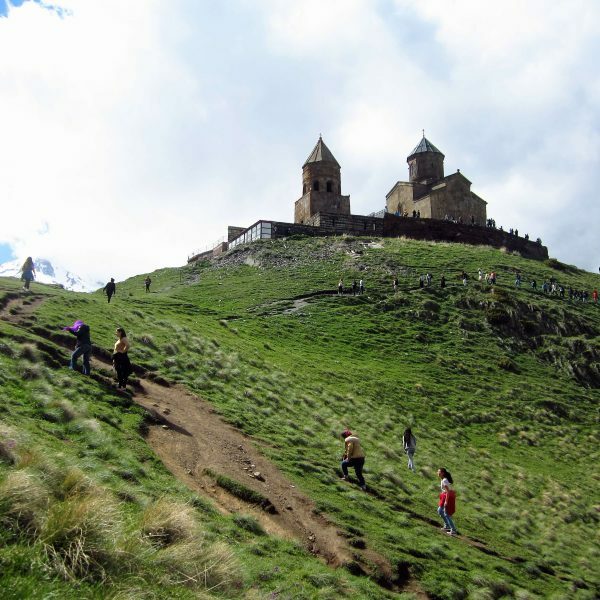 Would your recommendations be to NOT do a tour and just get a ferry across? Your 24 hrs sounds fantastic. I also need to watch my budget… Thanks in advance!